September 21, 2012. 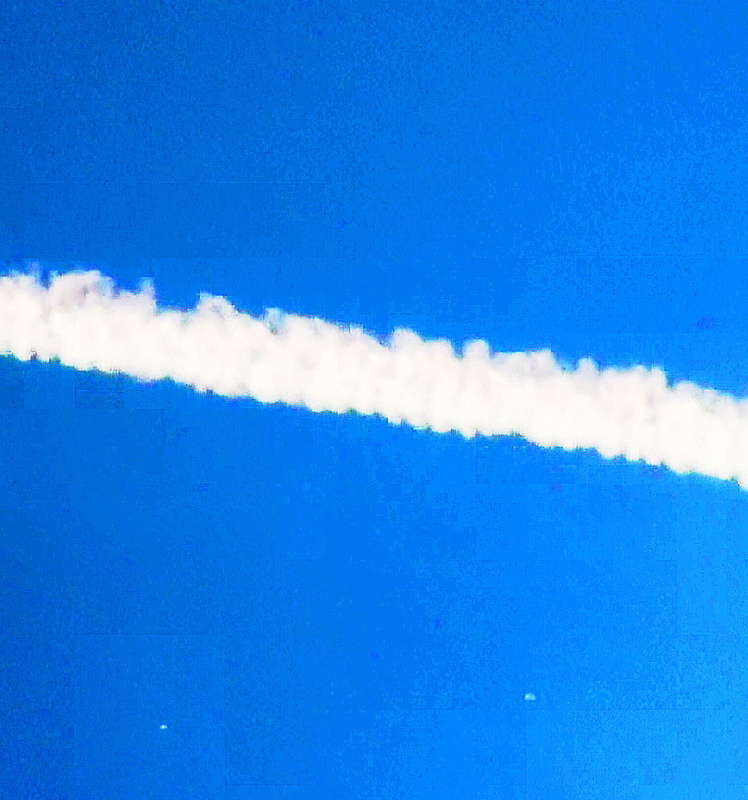 Still removed from video footage of a UFO buzzing a chemtrail jet. The above photo is a still removed from the video posted in this article. 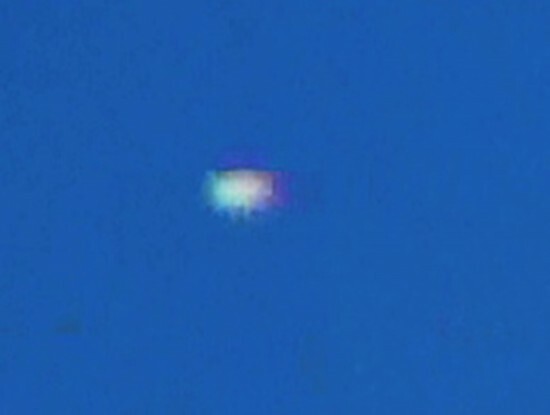 This UFO buzzed the Chemtrail jet for unknown reasons. The photo was cropped and enlarged with the color darkened. 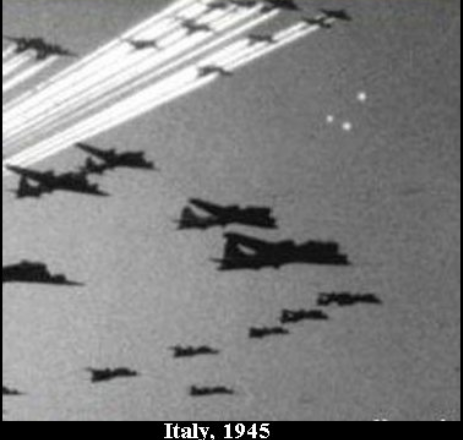 Worldwide since the 1940′s people have been capturing movie film, video and photos of UFO’s in our skies. Sightings have been documented as far back as 1460 B.C., many of which are very similar to current day sightings. If you have the opportunity, a excellent book to read is, “Wonders In The Sky” written by Jacques Vallee and Chris Aubeck. This book lists 500 sightings from 1460 B.C. to 1879 A.D plus more information. Of course the majority of captures since the 1940′s are contrived, fakes and current day hoaxers use Photoshop and other programs to pull off some of the most convincing fraudulent photos and videos. Lets say 10% of all sightings are real and can not be explained as swamp gas, weather balloons, other anomalies or contrived explanations. If this small percentage are real highly advanced UFO’s with anti gravity capabilities that can attain speeds of 10,000 + mph in our atmosphere, what on earth are we dealing with? In 2011 shortly after I began documenting and filming chemtrails, I began to capture these UFO’s buzzing chemtrail jets, interacting with chemtrail spray and at times hovering in and around cloud formations formed due to chemtrails. The first time I captured this, I explained what I had captured to my wife and adult children. I told them it looked like a feeding frenzy in the sky. Of course my family had thought I had lost my mind until I burned a DVD and played it for them on the living room big screen. Opinions of my mental health status instantly changed. 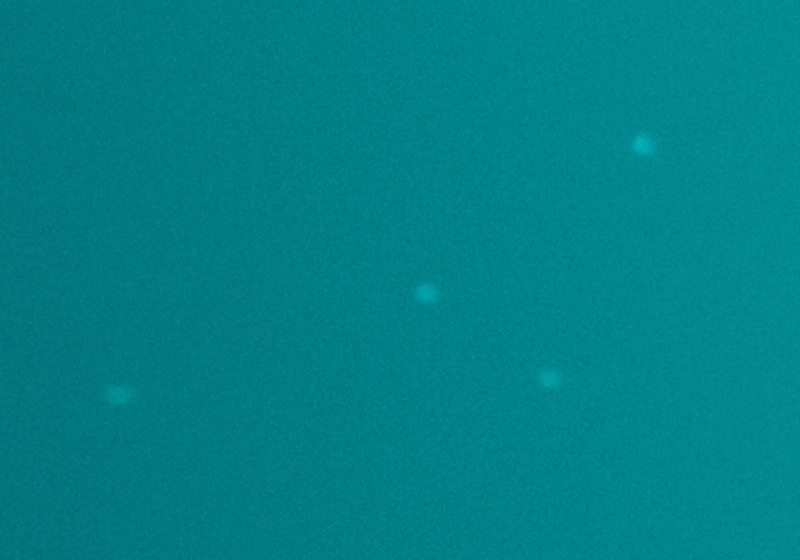 I am not alone in capturing these UFO’s. Worldwide people are posting video and photos of UFO’s interacting with chemtrails and the jets spraying them. There are numerous theories as to the origin of these UFO’s. Theories from extraterrestrial beings, dimensional entities, Fallen Angels, God’s Angels and the paranormal demonic realm of the occult. There is also the posibility that some are top secrete black project government craft engineered from downed flying disks. One thing I have learned, is to attempt to keep an open mind on this subject, because in reality anything is possible. Over the years I have met and became friends with some very credible people. One such person is a long time friend who’s husband worked with Bob Lazar at area 51 / S-4. I have seen the documentation, seen the proof that my friends husband and Lazar worked together at S-4 along with other information related to me. Is Lazar’s story true? Even being shown alleged proof I still have doubts. The bottom line is we many never know the truth. 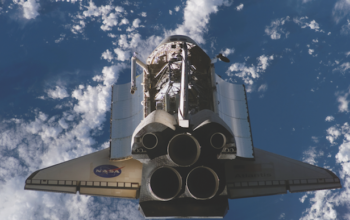 “There is so much UFO activity in our skies, with multiple unknown players involved along with the addition of a paranormal twist, it is impossible to discern who is who. The fact remains the phenomenan is real, increasing and not going away. In reality, the only thing we can do is to stay informed so our hearts don’t fail us when the truth is revealed”. Still removed from video footage of ufo buzzing chemtrail jet. 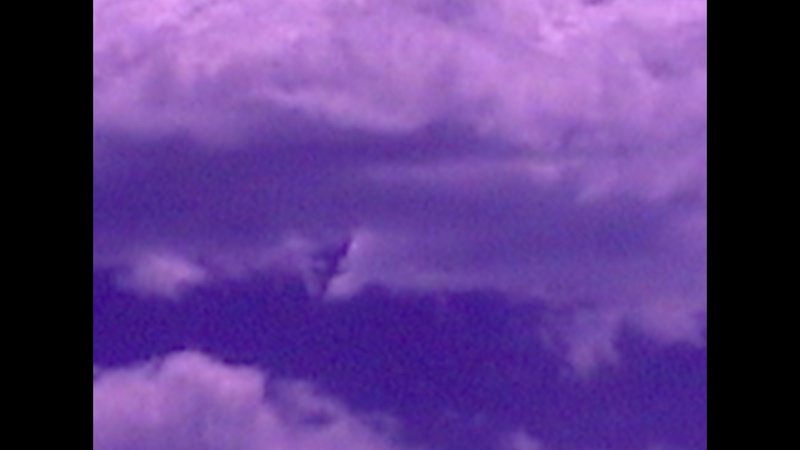 Enlarged still from video footage of triangular object in and around chemtrail spray. Also keep in mind this object could be flying debris or even a bug. Color infrared still removed from full spectrum video footage of orb-like objects. 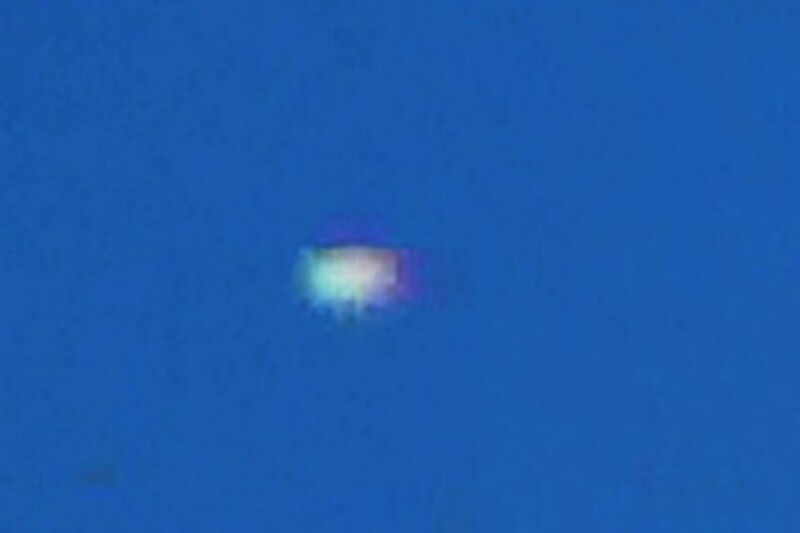 Photo, cropped and enlarged of Unknown object over the city of Palmdale, Ca. 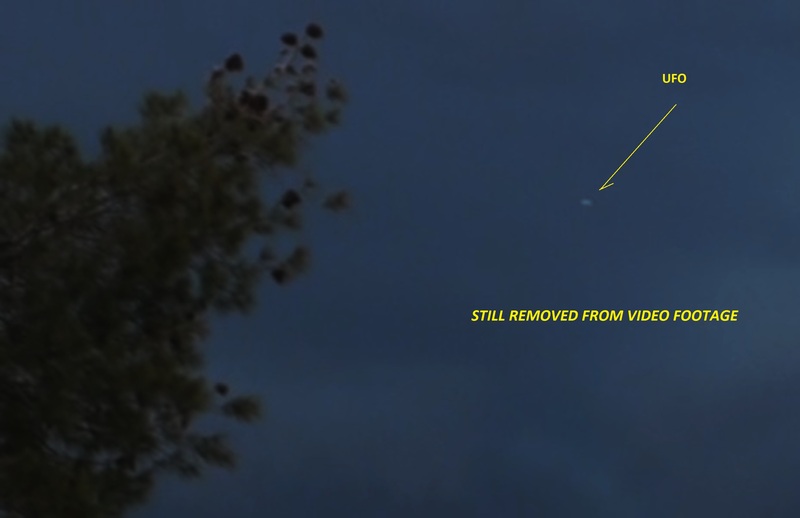 Still removed from full spectrum video footage of object traveling from right to left. The craft made a sharp upward turn and vanished into the clouds. Still removed from video footage of ufo. 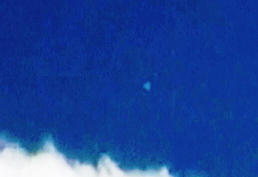 Enhanced still from video footage of orb shaped objects traveling in and around chemtrail spray. 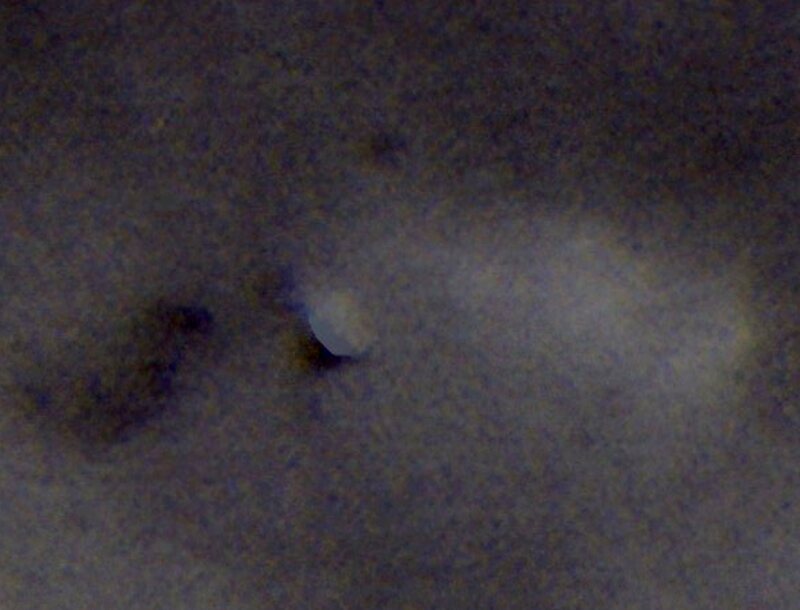 Black & White 35 mm film near infrared photo of triangular object possibly emitting a cloud-like material. Notice the shadow it is casting on the cloud layer behind it. Still removed from video footage of UFO that was buzzing a chemtrail jet. 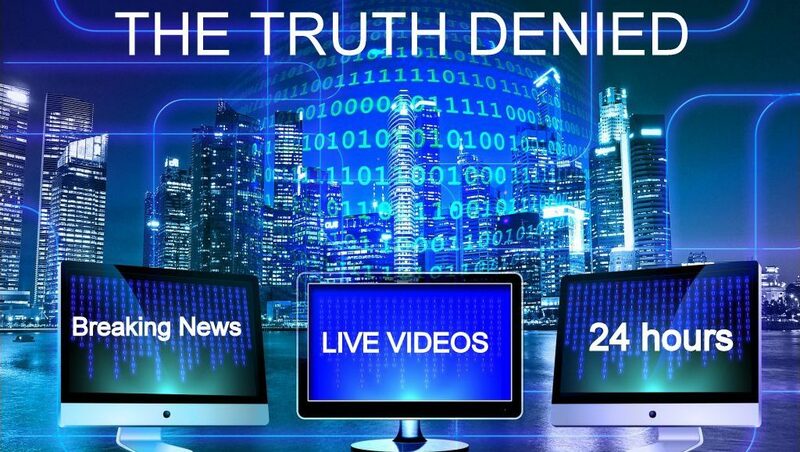 Also check out “THE TRUTH DENIED” Roxy Lopez for news on Chemtrails, GMO’s, UFO’s and Breaking News. HERE ARE A FEW TESTIMONIALS WE HAVE RECEIVED. 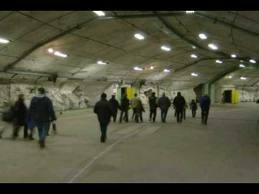 Some of these (so called) ufo’s could very well be Heavenly Host – Back in the 60’s when the reports came out that ‘something’ was confounding the control’s of the silo’s, or as (He) saying; no one can launch w/out (His) permission!? The Soviet’s experienced the same phenomenon, hmmm. Alien’s are nothing more then fallen ones & creation’s of these diabolic being’s! The Host of Heaven act in totally different way’s by order of the Lord. The vale (of the spirit realm) is thinning, we’re going to witness more of this, in the name of Jesus these come under submission. A few years back I was up around Jamesport Mo witnessing displays in the sky that seemed evil, I said a quick prayer in Jesus name and all stopped & dispersed, what an awesome God (Redeemer) we have! He wants us to trust Him humbly in all ways. The fields are still white, ready for Harvesting. I think that’s all that matters now. Many of the Apostles just had the clothes on their back’s and when ‘they’ looked back they knew He took care of them for all their needs. I believe we all can say; He’s never done us no wrong – If Jesus was standing on the surface of a roaring river and ask me to come to Him, well, I hope I’d come running. I began as a photographer, yet began seeing lines in the sky. 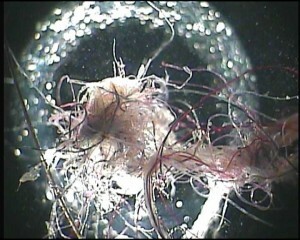 By 2011-12, while filming atmospheric abnormalities aka Chemtrails I began seeing strange oddities, that of other planets. In recent months, I began noticing triangular black objects of various sizes. Several days ago, my gut told me to look up to the sky. 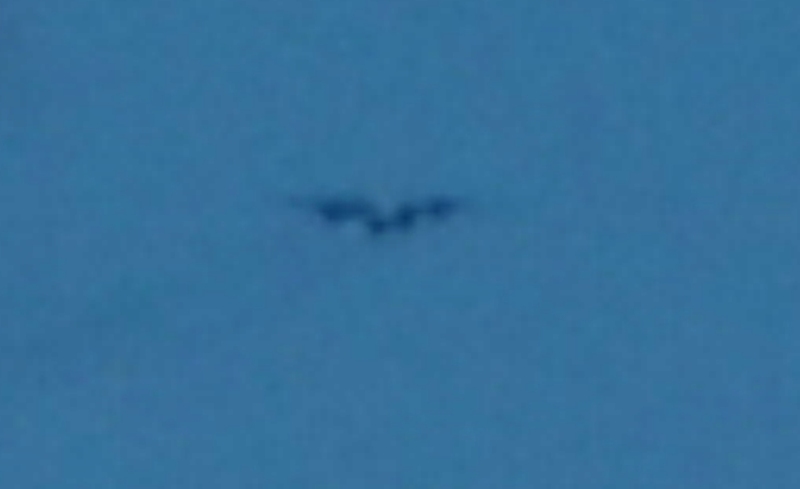 Low and behold, I seen a black triangle UFO type object hover down below the clouds, then rise straight back up disappearing thru the clouds openings. I believe these are fallen angels as in the days of Noah that time is once again. Enoch wrote of the Watchers, and fallen angels. I think this is what we’re seeing. I can attest that these entities do exist and I can also confirm that on three separate occasions I have rebuked them in the name of Jesus Christ and watched them vanish within seconds of doing so. As you might imagine the first time this occurred not only was it surreal to see this entity vanish before my eyes, but of course there was a small part of me doubting if invoking the name of Jesus had anything to do with it. In other words I thought maybe it was coincidence that it happened to disappear right after being revoked in Jesus name. Then a few weeks later I was at a stop light and noticed one of these entities spraying chemtrails. 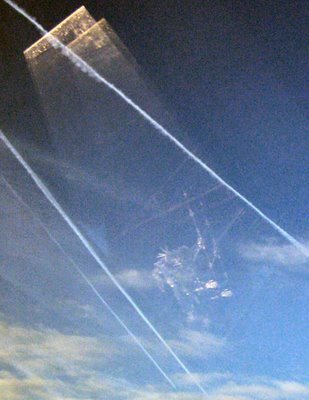 I say “entity” because there is a distinct difference between a plane spraying chemtrails and one of these thinly veiled, almost prism colored, yet transparent and sometime highly reflective entities spraying them. So on this occasion, I again focus on the entity and use the power granted to me, as a child of the living God, to rebuke this thing in Jesus name (speaking the words out loud of course) and sure enough it vanishes within seconds. Please note that when I am have done this, it has been with great faith and belief behind the words spoken and I do believe that the faith you have contributes to the effectiveness. Needless to say this has happened a third time and that was a few months ago. Third time just confirmed that this is undoubtedly a supernatural or multi dimensional being and powerless when confronted with the name of Jesus. I still get lots of planes with chemtrails in our area sky’s, but none of them have been the ufo/cloaked and by my best guess fallen angel or demonic entries that I referred to above. I’m sure they are still around, I just haven’t seen any for a while. Great article! It has been my observation, that these UFO’s or entities (seemingly demonic as they are by their very nature, deceptive) change shape, form and can take on any shape or form seemingly at will… Shapeshift. 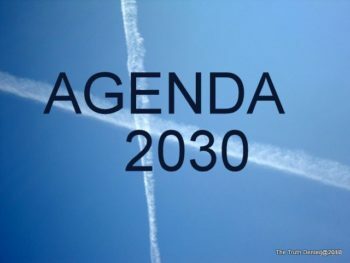 There are literally thousands of “average joe” submitted videos on youtube where people have captured video/photo evidence of what is being termed “fake planes” or “hologram/holographic planes”… When one can put aside any bias from preconceived notions and takes a good, close up look at the “aircrafts” seen spraying the chemtrails in our skies, worldwide… You begin to see that these “fake planes” are in fact directly responsible for the chemtrails seen in the skies. Point a camera w/ a decent optical zoom, a telescope or moderately powered set of binoculars at what appears to be a common “jet liner” cruising at high altitiude and leaving a “persistent chemtrail”… Upon closer look, you will note as noted in the thousands of videos posted online, the “air plane” changes shape, doesn’t look quite right (often as if it’s mimicking a farmiliar design & graphics of a commercial craft, ex. Delta, Jet Blue, UPS, etc. but with certain features missing or misplaced)… More often these “fake planes” are seen with one wing bigger then the other, missing wings, missing engines, misplaced engines, unnatural shapes, the entire aircraft completely disappears/ reappears, turns completely into a ball of pulsating light (an “orb”) then reverts back to an a plane. The point is… The UFO’s/ fallen angel/ demonic entities” are so connected or “interested” in the chemtrails is evidently because they are the ones directly responsible for creating the chemtrails, though they may appear to be farmiliar aircraft from the naked eye on the ground, a closer look and further analysis shows a “horse of a differnt color”. Considering the ancient and biblical historical accounts of beings that defended from the sky and among their grand intentions and wrong doings upon our world was their tampering with the genetics of humans, plants and animals….. Now consider today, even with the chemtrails aside, were being submerged in a world that is increasingly becoming more and more genetically modified, from the food we eat, to designer babies, to cloning sheep, harvesting of organs from human-animal chimeras, to all the clandestine projects in black budget labs around the world that we don’t know anything about… There’s a supernatural influence upon the world, and what it did to the world before… It’s doing again to the world, today. Jim Kerr is a retired police officer with an extensive background in criminal investigations. 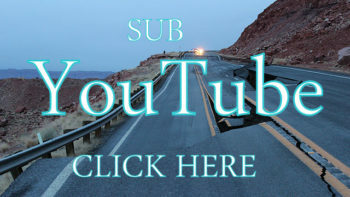 In 2011, Jim took and interest in Chemtrails / Geoengineering and began filming and documenting the skies over the Antelope Valley California in hopes of spreading awareness to this agenda. 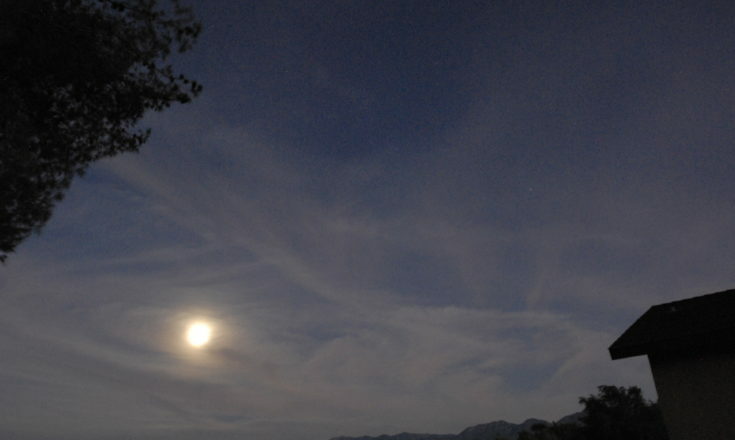 Within a short time, Jim began capturing strange anomalies in the sky that appeared to have a connection to Chemtrails. 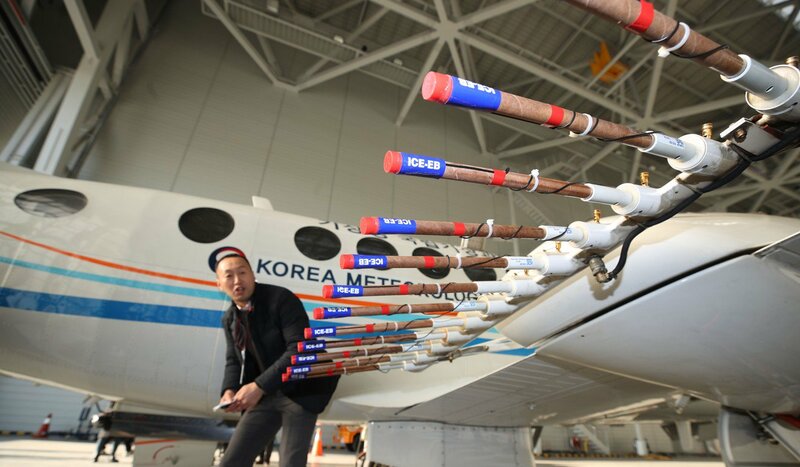 Anomalies consisted of obvious man-made plasma cloud experiments connected to HAARP type technology for weather control and other military applications, UFO’s that have a strange attraction to chemtrails. Jim shares his finding with many researchers worldwide to collectively reveal the truth. This is not a government website. We do not hack cell phones or any other kind of phones or computers.Feel free to peruse THE TRUTH Denied’s website in safety. Let us know if you have any problems. jim Kerr…. I have been experiencing Chemtrails passing over my home for the last 5 months, I have taken several photos of them, and most of them have what looks like orbs…. I am a true believer in God and the scriptures and I know about the fallen angels and the more I read into it the more planes come around… I feel maybe if I turn awY from taking photos and looking for them, they might disappear, I also wonder am I giving them attention? And how does God feel about that? Great article, I was starting to think I was going crazy, glad to know I am not alone…. 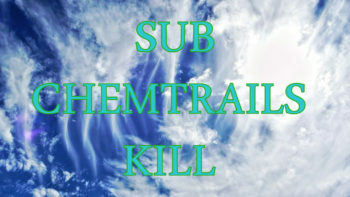 Thank you for your comment and awareness to what is taking place in our skies. I firmly believe we are witnessing many supernatural events in our skies and they are defiantly burgeoning. Of course we don’t know everything but I believe the majority of these orbs / ufo’s are fallen angels and their technology. Some man made with fallen technology. I love Matthew 24 because Jesus really spells it out of what we will experience in the end of days prior to His return. Your comment about giving these fallen ones attention is right on and I agree 100%. The more attention given to them, the more the sighting increase. They thrive on attention. As you know, God’s holy angels don’t need human attention and the majority of times we don’t know that we are entertaining angels as their main purpose are God’s messengers. I have interviewed several individuals who became obsessed with trying to capture these orb’s and ufo’s. They even had contact with these entities and the results were not a pleasant experience. To answer your questions I will briefly relate my thoughts, experiences and observations. My story is quite long but in short it started 5 1/2 years ago with several end time prophetic dreams and a visitation from one of God’s messenger angels. He told me, “Don’t be afraid. Get ready. The end is near”. This was a wild experience… After this I was compelled to film the sky documenting chemtrails. 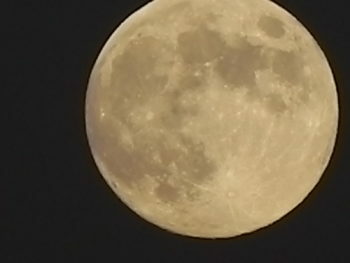 In the first week I began capturing orb’s and ufo’s. I believe God allows us to see things to expose the enemy and ultimately to bring glory to God’s name encouraging others to accept Jesus as their Lord and Savior. I no longer film the skies as God has allowed me to witness enough. If I continued it would only be for show and tell for others to marvel over the captures. I believe if we use this information to show people the way to Christ then God has no problem with that. God also has no problem in us exposing these entities for who they truly are. If we look at the increase of ufo sightings and how the majority look to these entities as alien saviors, we are witnessing the beginning of the great deception. The bottom line is how we use this information. Thank you and God Bless and keep you safe. 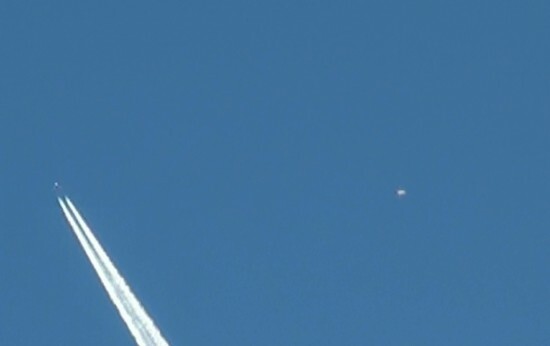 I captured what appears to be a large orb ufo directly underneath a plane that appears to laying chemtrails. if you wish to see it the photo contact me at the email given, you may use it in any way you choose, with my permission.